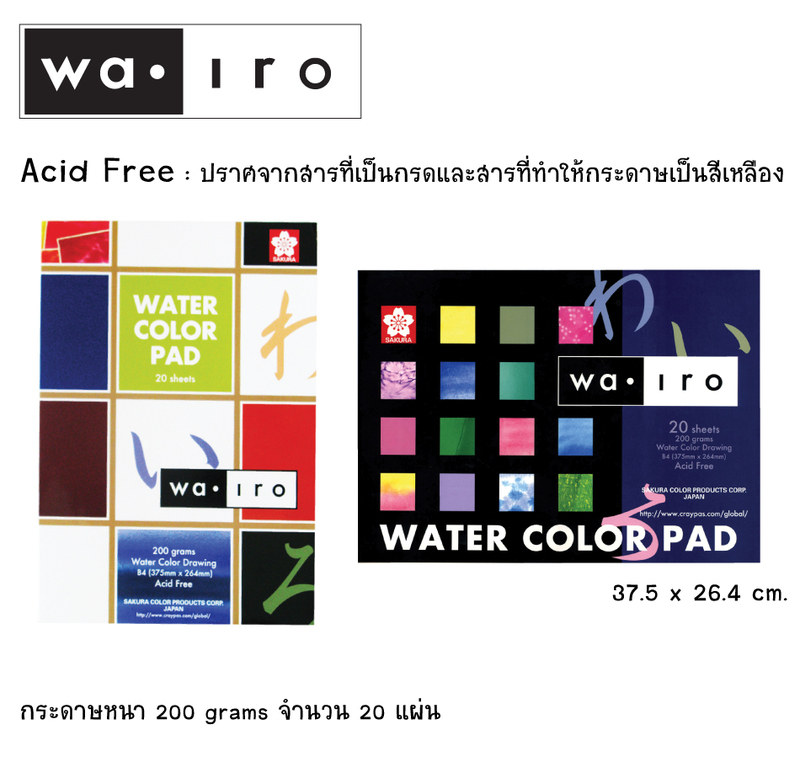 Water Color Pad suitable for water color made from Japanesestandard quality. Paper : 20 sheets 200 grams. Size : 37.5 x 26.4 cm.